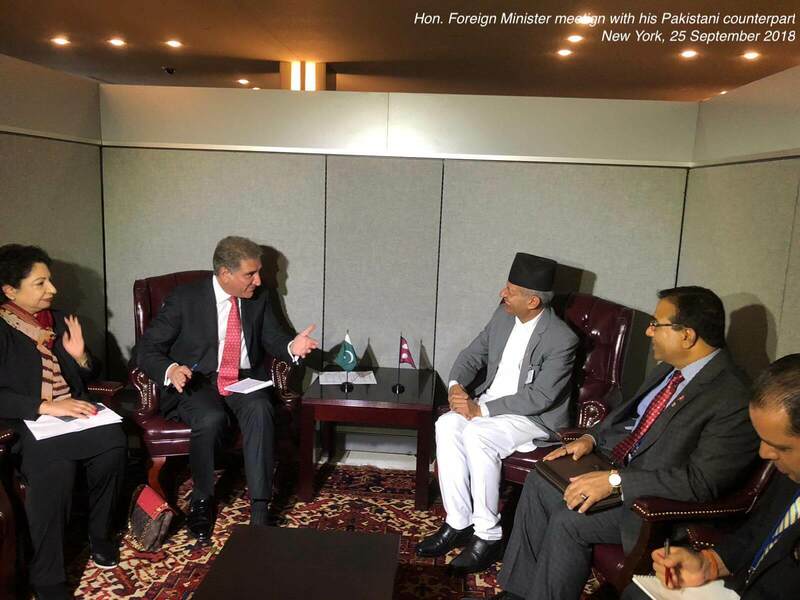 Nepal entered into a new bilateral cooperation with Canada as part of the ongoing 73rd UNGA Session in New York. 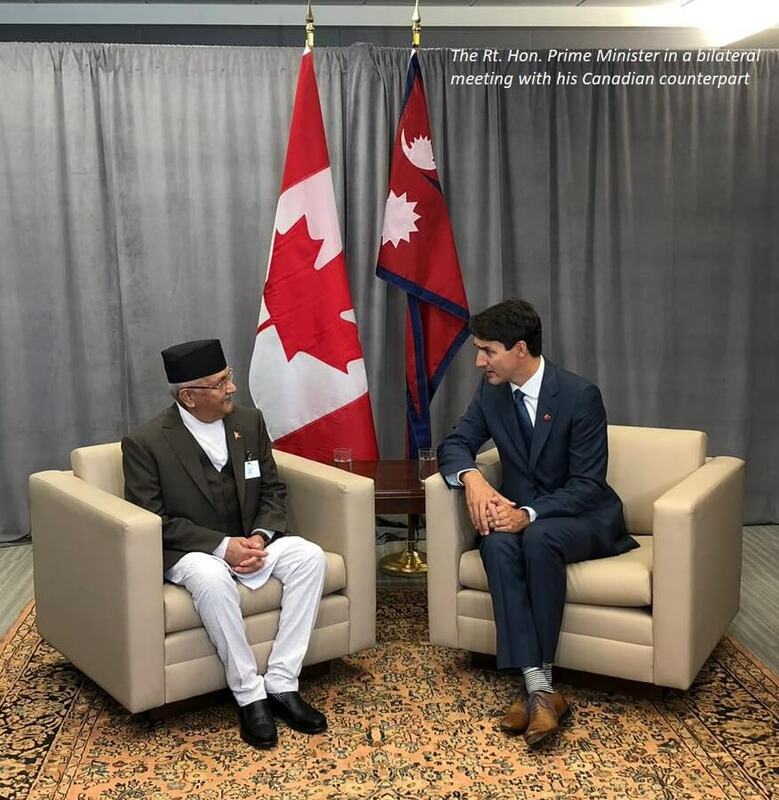 On the sidelines of the session, Nepal Prime Minister KP Sharma Oli and his Canadian counterpart Justin Trudeau signed a MoU to initiate a bilateral consultative mechanism between the two countries. 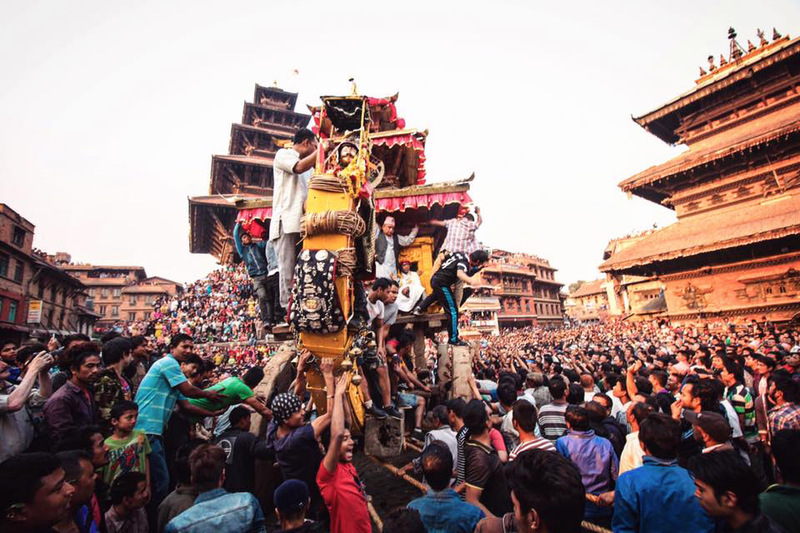 According to Nepal Foreign Ministry, the new mechanism will open ways for enhanced bilateral relations between Nepal and Canada. Prior to the deal, the two sides also held discussions on wide range of multilateral issues pertaining to Nepal-Canada ties. 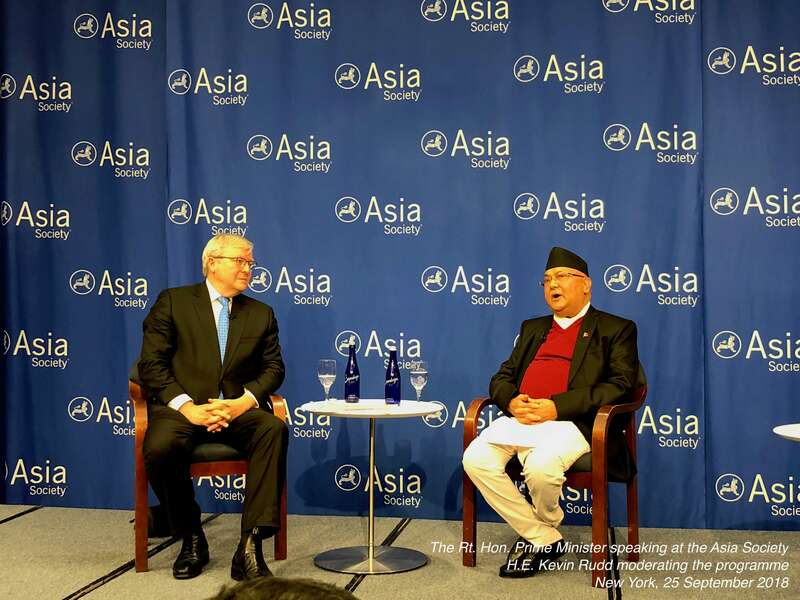 As part of discussions, Oli thanked the Canadian Government for its support to Nepal aftermath the April 2015 earthquake. 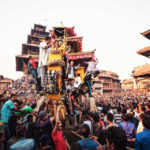 The new discussions between two countries gain significance in view of the fact that Canada has recently closed down its mission in Kathmandu and is currently operating from New Delhi. Meanwhile, Nepal Foreign Minister Pradeep Gyawali took part in the Nelson Mandela Peace Summit organized to commemorate the message of global peace on the occasion of centenary of Nelson Mandela. 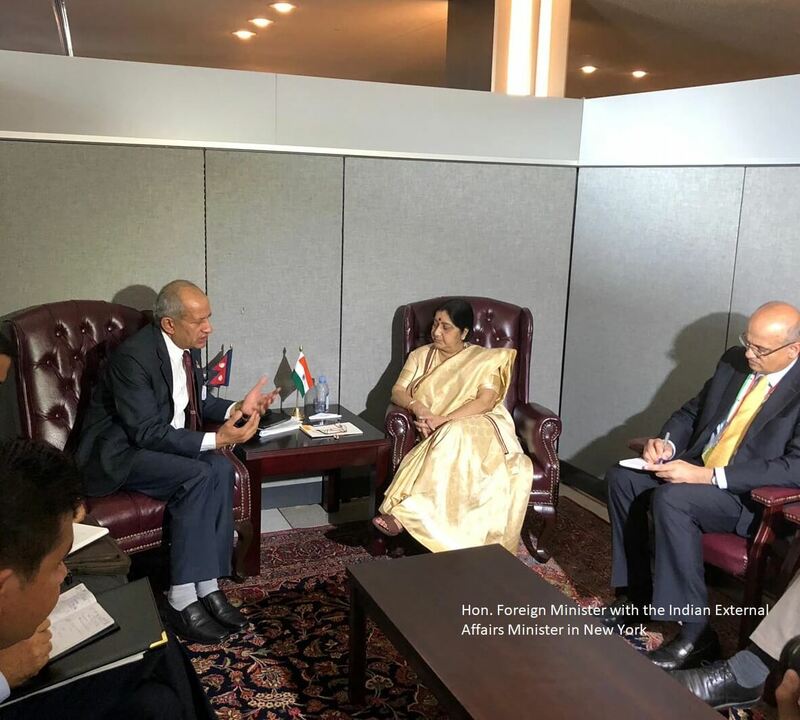 Gyawali also held separate discussions with the Indian External Affairs Minister Sushma Swaraj on ways to enhance cooperation across bilateral and multilateral platforms. 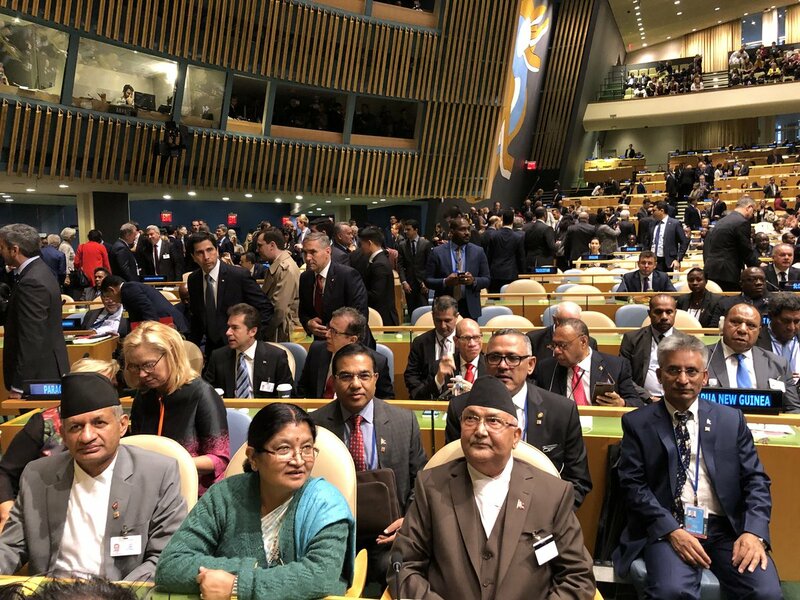 Nepali Foreign Minister Gyawali also participated in the ‘Global Call to Action’ on the World Drug Problem hosted by the United States, to reaffirm commitments to address drugs menace globally. In another discussion, the Under Secretary-General for UN Peacekeeping Operations Jean-Pierre Lacroix appreciated Nepal’s continued contribution to UN Peacekeeping Operations. The UN official urged Nepal to encourage more female participants in peacekeeping missions and also train its personnel in French language. 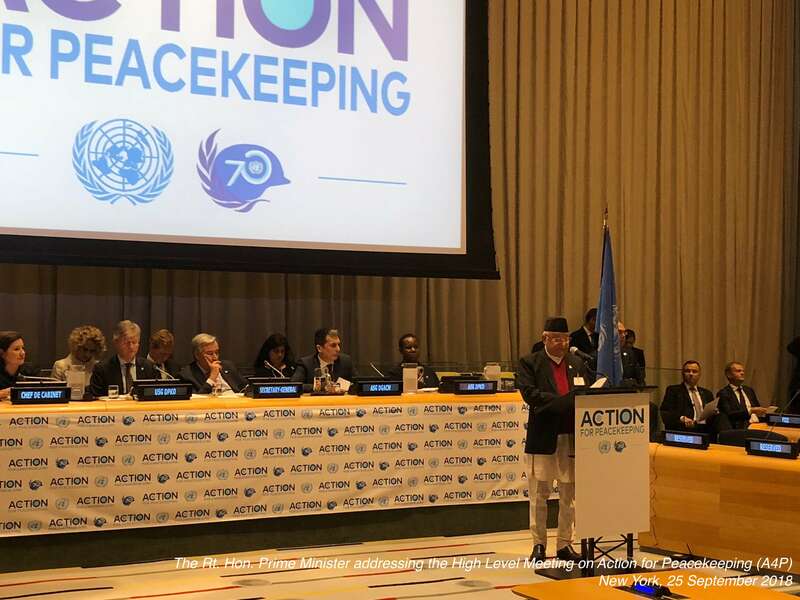 In response, Gyawali extended his country’s commitment to UN peacekeeping operations for international peace and security. In the later part of the day, Oli along with his wife Radhika Shakya joined in a reception hosted by Donald Trump and his wife Melania Trump.